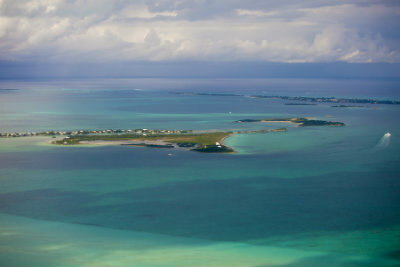 Browse available Abaco Island Vacant Land in the Bahamas below! The Abaco Islands make up some of the northernmost cays, islets and islands in the Bahamas chain. In stark constrast the sandy, low-lying barrier islands found in southern Florida, these islands are made up largely of limestone and have some elevation, complete with lush vegatation and white sandy beaches as well. The vacant lots and properties available throughout the islands take full advantage of the lush and picturesque island surroundings, from beautiful beachfront lots to private land surrounded by mangroves and fruit trees. Potential home buyers are given the opportunity to bring their full vision to life in creating the home of their dreams in an island paradise. See the available Abaco Vacant Land for Sale below, take a moment to learn more about the available lots and property across the Abaco Islands! Enjoy total freedom to create the home of your dreams. The beautiful Abaco Islands provide an incredibly beautiful tropical landscape for you to cut your own slice of the good life. This is the stunning backdrop you have to work with in creating your own private piece of paradise. The Abaco Islands have a wealth of available vacant lots just waiting to be molded to your ideal shape. You’ll have miles and miles of untouched land to choose, from stunning waterfront property to more remote offerings, wreathed in the vibrant green of the overhanging palms. Create the home of your dreams in an island paradise. A whole range of land types & terrains to choose from. Convenient access to a number of nearby communities. Please feel free to contact the Dupuch Team online, or call 242-393-1811 to reach a qualified Abaco Island real estate agent.